Citation: Reddy LKV. Evaluating Medical Tourism Prospects of Joint Commission International Accredited Hospitals in the Kingdom of Saudi Arabia. Health Sci J 2017, 11: 2. Copyright: © 2017 Reddy LKV. This is an open-access article distributed under the terms of the creative Commons attribution License, which permits unrestricted use, distribution and reproduction in any medium, provided the original author and source are credited. The world is witnessing a phase of unprecedented economic interdependence and a global marketplace . Doing business in such an environment calls for a high degree of perfection,which enables the enterprises to successfully ward off challengers and survive in a highly competitive environment . To withstand the competition, regularly the service providers look for opportunities globally and provide quality service to the end users. Medical tourism has been gaining an important place in the globalized healthcare market. In this regard, Medical tourism took its shape and it is escalating rapidly. Medical tourism refers to people who live in one country and travel to another country in order to receive medical, dental and surgical care while at the same time receiving equal to or greater care than they would have in their own country, and are traveling for medical care because of affordability, better access to care or a higher level of quality of care . Medical tourism (MT) is a new term, but not a new idea. Patients have long traveled in search of better care . But the new concept is average income group citizens are travelling to third world countries for seeking Medical care. All kinds of medical treatments are offered at the same quality as in “First world countries, but at third world cost” . The concept of global outsourcing is escalating far beyond the information technology industry . The medical tourism development has been made well-known in the first world country patients who travel abroad for discovering low-cost, high quality medical treatments . Presently, many Saudi Arabian patients are going to out of the country for medical treatment and so Saudi Arabia's National Transformation Plan (NTP) try to reduce outbound medical tourism. The Kingdom of Saudi Arabia has launched “Vision 2030”, a plan to greatly transform the Kingdom’s economy with a very thorough plan to inspire more proficient government services and to diversify the economy by boosting private sector job creation and developing the non-oil economy . The concept of Medical Value Tourism = Clinical Outcome + Quality of service and infrastructure + Wellness Experience – Treatment Cost . There are four most typical motives identified for why patients travel abroad to receive medical treatment were affordability (costly in home country), accessibility (waiting period is high), better quality (care and support services are better quality than the home country) and availability (not available in the home country) . Nevertheless, the idea of Medical Value Tourism is vital to the patients. The Global Medical Tourism Market accounts for $17.1 billion in 2015 and is self-assured to reach $57.2 billion by 2022 growing at a CAGR of 18.8% during the projection period . Medical tourism aids the struggling economies in trading medical services and in turn impacts the health service globalization . As health care turns costly in developed countries, India's medical tourism market progress is anticipated to more than double in size from USD 3 billion at present to around USD 8 billion by 2020 . The Kingdom of Saudi Arabia has done much to add to and improve local hospitals and even have 105 JCI accredited organizations in KSA to date (Joint Commission International) ; but has little achievement in attracting medical tourists. The people from UAE, Yemen, Kuwait and Syria constituted most of the medical tourists in Saudi Arabia in 2011. The medical tourist arrivals in the country are estimated to increase 105,000 by 2016 at a CAGR of 20% . The Saudi Vision 2030, initiative launched for broad and extensive nation building with a purpose to become a global investment powerhouse to motivate economy and transform it into a global hub . The marketing plays a very significant role in this industry and an effective practice of tourism marketing tools is a crucial factor for a country or a region . The Marketing activities include the analysis of market opportunities, the search and selection of target markets, development of marketing strategies, the planning of marketing techniques and implementation and control of the results of marketing efforts . The Marketing mix is a basic notion in tourism marketing that can improve it. McCarthy for the first time introduced the four factors of product, price, promotion and place (4Ps) of the distribution as the chief mechanisms of the marketing strategy . This 4Ps are the four key decision areas that marketers need to manage it so that they meet or surpass the needs of customers better than the competition . These four Ps have long been the basis of the marketing strategy in most industries and is gradually considered by health care organizations . The tourism marketing mix means the elements which include product, price, promotion and distribution, the 4P’s framework calls upon markets to select on the product and its characteristics, set the price, decide how to distribute their product and choose methods for promoting their product [22,23]. The product is one of the cores of the marketing mix strategy where retailers can offer exclusive features that distinguish their product from their competitors . 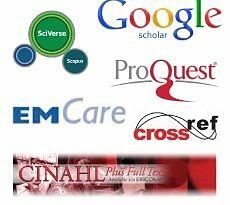 In the medical sector, the product characterizes goods, services, or ideas provided by a healthcare organization . The price is defined as the extent of money pays for a product or service, or the entire values that consumers exchange for the benefits of having or using the product or service. The customers typically buy products on the basis of price rather than other attributes . The place contains decisions concerning the distribution channels to be applied and their management, the locations of channels, ways of transportation and inventory levels to be apprehended . The place as the ease of access which potential customer associates to a service such as location and distribution . The promotion includes all events such as advertising, personal selling, public relations, publicity that is envisioned to encourage customer demand and improve the marketing performance of sellers [29,30]. Promotion has three dynamic characters; providing desirable evidence and advice, influence target customers of the advantages of a specific product, and boosting them to take action at specific times . The objectives of the study are to explore the potential ways in attracting medical tourists to JCI accredited hospitals in Saudi Arabia and to measure the effectiveness of marketing mix on Saudi Arabian Medical tourism. A cross-sectional quantitative survey was conducted using a structured questionnaire during the period from October 2016 to January 2017 to address the objectives. The Non probability purposive sampling technique was used to collect the data to a target of 210 respondents. However, at the end of the data collection process, 180 valid questionnaires were considered in the final analysis and the response rate was 85.71%. The respondents consisted of the doctors, nurses and hospital administrators in three JCI accredited hospitals in Saudi Arabia, namely King Khaled Hospital, Hail; Aseer central Hospital, Abha and King Salman Hospital, Riyadh. The questionnaire was carefully designed and developed to address the objectives of the study. The questionnaire consists of close ended responses such as (a) Socio-demographic information (6 items), (b) ranking the potential ways in attracting medical tourists (9 items using a 5- point ranking scale, with ordinal scores ranging 1 = first rank to 5 = fifth rank); (c) market mix questions - place, price, product, promotion (16 items using a 5-point item scale, with scores ranging from 1 = Strongly Agree to 5 = Strongly Disagree) and (d) open ended question for suggestions improving Medical tourism. The study received approval from Institutional review board (IRB:16-349E), Ministry of Health (MoH), Kingdom of Saudi Arabia (KSA). The responses were carefully captured and coded in SPSS 21.0 statistical package software for analysis. Cronbach’s alpha is used for measuring the internal consistency, i.e., the validity and reliability of the data and found Cronbach’s alpha is 0.84. The Socio-demographic information and given rankings by the respondents to the various ways to attract medical tourists were analyzed using frequency percentages. The parametric multiple regression and correlation analysis is used to predict the correlation value of independent variables like place, price, product/service, promotion with dependent variables Medical Tourism. All reported P values are 2-sided and differences were considered statistically significant at p<0.05. For the references, Mendeley software is used. The social-demographic characteristics of respondents presented in Table 1, consist of 142 males (78.88%) and 38 females (21.11%) from the sample size of 180. The designations of these respondents constitute 112 doctors (62.22%), 58 nurses (32.22%) and 10 are hospital administrative staff (5.55%). The majority of the expected medical tourists were expatriates comprising 68.33%, then comes Hajj and Umra visitors 22.22% and remaining 6.66% are Saudi Arabian residents working outside the kingdom and other constitute 2.77%. The respondents expect mainly medical tourists come from African countries constituting about 88.33% and 6.66% of Middle Eastern countries and remaining 5% are expected from Asian countries and out of these majority people of about 70% come for Gynecology and Obstetrics services, 21.11% of them come for Ophthalmology services and 6.66% may come for Orthopedic services and remaining 2.22% were expected for other health services to the KSA. Table 1 Socio-demographic characteristics of the respondents. The reliability analysis was conducted to establish the validity and internal consistency of the study instrument and found Cronbach’s alpha is 0.84. The ranking of various dimensions of potential ways in attracting medical tourists by the Kingdom of Saudi Arabia is presented in Table 2. For the dimension, the best way to inform the patients about the Medical tourism in KSA; 85.55% and 82.22% of respondents gave first and second rank to the treating doctor and insurance company respectively. About 87.77% of the respondents gave first rank to the lack of services in their home country and 83.88% gave second rank to no health insurance in their home country, i.e., high out-of-pocket cost of health care in their home country as the main reasons why medical tourists come to KSA. The prolonged waiting period was ranked as a third reason (83.88%). Regarding the potentiality of KSA to attract Medical tourists, quality health care at very less cost ranked first with 88.33%, followed by hospitals with accreditations with 78.88%. For the main pre-requisites considered by the patients before visiting KSA, 95.55% responded to the option, i.e., confirming the package of the treatment by the hospital with first rank and success rate and brand value of the hospitals with second rank. Table 2 Potential ways in attracting medical tourists. Religious and historical tourist attractions (100%) and Transparency and standardization in pricing (91.66%) were ranked first and second, respectively as the main factors for choosing KSA for Medical tourism; whereas best Infrastructure and modern technology (88.88%) ranked third. When it comes to the possible ways of contacting the hospital, 92.22% of the respondents gave first rank to the option getting the complete contact details of treating doctor and second rank to the referral from family and friends with 86.11%. In trusting the hospital, clarifying patient queries by a doctor (95.55%) and continuous contact with a doctor (93.88%) were ranked first and second, respectively; followed by the prompt response from hospital/consultancy (93.33%). All the respondents agreed to the option that the medical tourists are interested to visit Historical and Religious sites by raking first and followed by Archaeological and Heritage sites as a second rank (95.55%). The issues such as lack of follow-up care (90%) and communication barriers (85.55%) were ranked first and second respectively, for the possible issues faced by patients during the Medical tourism visit to KSA. The factors influencing potential ways in attracting medical tourists are ranked as E>D>H>G>F>B>I>C>A based upon cumulative percentages as shown in the Table 3. Among all the factors, the treatment choosing by the patients is ranked first, followed by the prerequisites considered by the patients before coming to the country. Later, interesting places to visit and trusting the hospitals are ranked third and fourth respectively followed by the other factors. Table 3 Ranking factors for attracting medical tourists. The third section of questionnaire deals with multiple linear regression to analyze correlations between variables and establishing the validity of the multiple regression model. The marketing mix constitute a variation of dependent variable, medical tourism of KSA by its covariance with four independent variables i.e., price, product, place and promotion (4P’s). The parametric method, multiple linear regression and correlation analysis were performed to discover the predictive ability of a set independent factor and one dependent factor. The analysis of variance (Anova) is used to determine whether the independent variables reliably predict the dependent variable. The Anova value (F=18.112) and a significant relationship (α=0.00) which is lower than the level of statistical significance (α=0.05) indicates presence of statistically significant relation between the independent and dependent variables as shown in Table 4. In the regression analysis, with four independent variables, value of coefficient of determination (R squared value) is 0.277 i.e., there is 27.7% of variation in medical tourism as shown in Table 5. The standardized coefficient (beta) for the independent variables price, product, place and promotion is (0.486, -0.138, 0.774, -0.669) respectively. There is a significant relation of place (α=0.00), price (α=0.039), product (α=0.006) and promotion (α=0.018) with Medical tourism which are lower than the level of statistical significance (α=0.05). The correlation coefficients among the variables such as place, price, product, promotion and Medical tourism are shown in Table 6. The results reveal that there is a significant correlation existing between marketing mix variables and Medical tourism. Table 6 Correlation coefficients among variables. The Mean analysis is used as a measurement tool  to measure the strength of the impact of each variable relating to the marketing mix based on Medical tourism. The mean scores of place, price, product, promotion and Medical tourism (3.82, 3.58, 3.84, 3.83, 3.89) respectively show the difference in attraction exist in between groups. There is a strong positive correlation between the variable except place - price (-0.270), promotion – place (-0.341), promotion – price (-0.272) which are having negative correlation, but there is a statistical significant relation among all the variables which is lower than the level of significance (α=0.05 and α=0.01). The medical tourism is one of the few markets, which has been emerging as the fastest growing segment of the tourism industry, despite the global economic downturn [33,34]. So, it's high time for the Kingdom of Saudi Arabia to focus more on this sector to achieve its Vision 2030. The prospects for evolution of MT in KSA are massive and correct policies, procedures will help for the MT development in KSA. The needed resources are already available in KSA and the only concern is to market them to the world in order to attract medical tourists. The study found that, the respondents feel mainly the expatriates and Hajj visitors could be the possible medical tourists from the African continent for Gynecology and obstetrics services come to KSA. Among the prospective methods in attracting medical tourists, it is found that the main factors ranked are choosing the treatment, prerequisites considered before coming to the country, curious places to visit, believing the hospitals etc. The research used multiple linear regressions to analyze correlations between variables of marketing mix and Medical tourism found a statistically significant relation between them. The study even found a positive correlation between the marketing mix and medical tourism variables except place - price, promotion – place, promotion – price. In one of the previous studies, investigating the impact of marketing mix elements on tourist's satisfaction, product and tourist satisfaction is positively related to each other . In another study it is concluded that the strengthening of marketing mix help to maintain sustainability in tourism development . The authorities are necessary to check out an actual marketing application in branding the country as well as executing marketing strategies in expanding the medical and wellness tourism market in the country . As a measure of publicizing Saudi Arabia ‘Vision 2030’, both online and offline promotion tools should be used to build awareness of the accessibility of high quality medical care and non-medical care services, reassure patients about the standards and quality of medical treatments, and offer alternative healthcare services for selection by potential target customers . This research endorses the marketing tactics for further stimulating medical tourism in KSA. These include, for product marketing the KSA hospitals should offer opportunities of selecting required doctors through a website based on their international medical qualification, experience, success rate, references, patient testimonials etc. . For the price component, the KSA medical setups should display their competitive price advantage of their standard medical treatments and services in the form of medical package even including hotel + travel + hospital epitomized by ‘hotel-spitals’ and currency exchange rates which will be a value addition . The best place to market MT is by opening exclusive KSA medical tourism website for disseminating all the correct and needed information to target customers regarding hospitals, doctors, diagnostic centers, JCI accreditations etc. . This website should act as agent center like third party assurance (TPAs) in insurance sector acting between medical tourists and hospital and take the complete responsibility of medical tourist well before his arrival until his departure . This website should be the only official of any kind of communication and act as the single window entity responsible for all kinds of advertising and doing marketing in those countries through referral doctors, sister hospitals, clinics and diagnostic centers, empanelled insurance companies, travel agencies, etc., for giving any kind of dependability and service reassurance . The KSA medical tourism officials should participate regularly in travel and trade fairs, exhibitions, seminars, conferences, and advertise in travel magazines for promoting KSA health care services to international markets . In addition to this, the promotion should also include mainly Medical transparency, collaborating with hospitals in other countries and displaying audio visual programs in the hospital waiting area, MT brochures, advertisement in that country local television channels and newspapers can boost MT in KSA [45,46]. The government of KSA should play major role in boosting MT growth by issuing fast Medical visa (‘M’ Visa) or visa on arrival, hassle free norms, policies and procedures, developing professional attitude, concentrating on relationship-based marketing and propagating positive welcoming messages [47,48]. The KSA government should also take care of potential risks affecting MT like disease outbreak. For example, during the Middle Eastern Respiratory Syndrome – Corona Virus (MERS-CoV) outbreak in 2012, the total number of cases in Saudi Arabia is 1545 + 38 asymptomatic cases out of which 659 cases passed away constituting 42.65% . Therefore, it is pertinent for KSA to rethink the marketing plans on medical and wellness tourism in terms of the services offered in the country, which is also very crucial on how the country is positioned to the world as a unique medical tourism destination . Medical tourism is a new form of a niche tourism market, which has been quickly emerging in the recent years . Medical tourism is a profitable business, developed and endorsed for earnings, which exemplifies an extreme form of commodification of medicine . However, the competition is getting intense and the victory in the future will largely be determined by the enlargement and enactment of a joint strategy by various players in the industry . A separate council for MT required to be designed to encourage the KSA Medical tourism brand abroad and support inter-sectoral synchronization . Joint ventures with overseas partners and creation of ‘Medicities’ will help KSA in building a significant gain and leadership position in the industry . With greater prices and proficiency, in the future, medical tourism is expected to be the new global affinity for providing medical services. The government of KSA can play a significant role in enhancing the benefits of medical tourism. Recognizing the importance of medical tourism, government should grant several reductions, exemptions, incentives to the service providers. There is also a necessity to expand auxiliary infrastructures such as transportation, lodgings, and communication channels to ease medical tourism. An endogenous feature briefing the present study, Aggressive KSA marketing and awareness programs globally; Establishment of “KSA Medical Tourism Corporation”; Package medical tourism through Travel and Tourism Cos.; Need for KSA International MT Media; Medical Tourism Regulatory Body/Ethics Committee is urgent needs to be considered for positive economic benefits and fulfilling the set objectives for Saudi Arabia ‘Vision 2030’ . The researcher thanks the respondents and respective medical directors for giving the permission for data collection in King Khaled Hospital, Hail; Aseer central Hospital, Abha and King Salman Hospital, Riyadh. The researcher also thank the Ministry of Health (MoH), Kingdom of Saudi Arabia and Institutional review board (IRB:16-349E) for giving the permission to carry out the research. This work was supported by the University of Hail, Kingdom of Saudi Arabia research grants for the year 2015-2016, Kingdom of Saudi Arabia (Grant Number: 0150024). Elms DK, Low P (2013) Global value chains in a changing world. World Trade Organization, Geneva. John J, Miller AR (2015) Health care service quality: the importance of consumer perceptions. Proceedings of the 1988 Academy of Marketing Science (AMS) Annual Conference. Springer, pp: 373-377. Uchida Y (2015) Medical tourism or “medical examination and treatment abroad”: An economic study of the phenomenon. In Current Issues and Emerging Trends in Medical Tourism. IGI Global, pp: 18-30. LagaceM, Khanna T(2007)The rise of medical tourism. Harvard Business School Working Knowledge.pp:1-3. Malik S (2008) A promise of security. Insurance solutions for medical tourism companies. Medical Tourism Magazine Ausgabe 6: 46-48. Pedersen A (2007) Medical tourism: Newlyflat’healthcare world challenges increasingly costly, opaque US system. Biomed Business Tech 30: 1. Piazolo M, Zanca NA (2011) Medical tourism: A case study for the USA and India, Germany and Hungary. ActaPolytechnicaHungarica 8:137-160. Al-Maaitah HMK (2016) Aninvestigation of the acquisition and experience of medical tourism: The case of Jordan. ORE,pp: 1-366. Lenka SK (2017) Healthtourism in Kerala: Relativeperception study on the determinants of wellness tourism. Millennial Workforce–A contemplation,pp:180-187. JagyasiP (2010) Medical tourism impact it’s more than obvious. Medical Tourism Magazine. Stratistics MRC (2016) Medical tourism - global market outlook 2015-2022. Global Data, pp: 1-145. Sudip (2015) India leads global medical tourism industry thanks to presence of advanced medical technologies. Transparency Market Res, pp: 1-3. Thornton G (2015) Indian medical tourism industry to touch $8 billion by 2020. Healthcare. Joint Commission International (2017) JCI-Accredited Organizations. Bombourg N (2012) Middle East medical tourism industry outlook to 2016 - Advanced medical infrastructure paving the way for future growth. PR Newswire. Al-Saud, Bin SM,Bin A (2016) Our Vision: Saudi Arabia the heart of the Arab and Islamic worlds, the investment powerhouse, and the hub connecting three continents. Saudi Vision 2030. Laimer P, Weiss J (2009) Portfolio analysis (PFA) as a strategic tool for tourism policy: An integrated analysis of overnight data. Tourism Review 64:17-31. Kotler P, Armstrong G (2013) Principles of marketing 15thglobal edition. Pearson, USA. Wolfe MJ, Crotts JC (2011) Marketing mix modeling for the tourism industry: A best practices approach. Int J Tourism Sci 11: 1-15. Kazemi Z (2008) Study of the effective factors for attracting medical tourism in Iran. Lulea University of Technology, Sweden. pp: 1-125. TheofanidesF, Papanikolaou V (2012) Exploring and exploiting medical tourism opportunities in Greece. University of Patras, Patra. pp: 1-90. Armstrong G, Adam S, Denize S, Kotler P (2014) Principles of marketingVitalSource eText(6thedn). Pearson, USA. Kotler PT, Makens JT, James B (2014) Marketing for hospitality and tourism (6th edn). Pearson, USA. Ferrell OC, Hartline MD (2011) Marketing strategy (5th edn). South-Western Cengage Learning, South Melbourne. pp: 1-743. SpasojeviÃÂM, ŠušiÃÂ V (2011) Development perspectives of new destinations in medical tourism. Peter J, Donnelly H (2007) Marketing management- knowledge and skills (8th edn). McGraw-Hill, Boston, Massachusetts. Ariwa E, Syvertsen CM (2010) Informatization of economic growth in the health-tourism Industry in Montenegro using insights from regionalization. J Internet Bank Commer15: 1. Hirankitti P, Mechinda P, Manjing S (2009) Marketing strategies of thai spa operators in bangkok metropolitan. Al-Azzam AFMI (2012) Thedirect and indirect effect of predictor variables on destination brand loyalty in Jordan.Universiti Utara Malaysia. Kumar V, Komaraiah JB (2014) Role of Indian railways in promotion of tourism in India: A case study of foreign tourists IOSR. Int J HumanitSocSci19:22-32. Lovelock C, Wright L (2001) Principles of service marketing and management. Prentice Hall, New Jersey. Andereck KL, Valentine KM, Knopf RC, Vogt CA (2005) Residents’ perceptions of community tourism impacts. Annals of Tourism Research 32:1056-1076. Sharma A (2013) Medical tourism: Emerging challenges and future prospects. IJBMI 2:21-29. 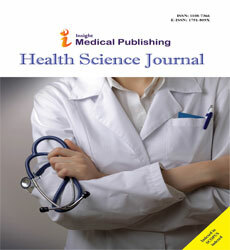 PadiyaJ, Goradara S (2014) Medicaltourism in India, has it arrived?An empirical investigation. IJMRBS 3: 271-284. Sarker MAH, Aimin W, Begum S (2012) Investigating the impact of marketing mix elements on tourists ‘satisfaction: An empirical study on east lake. EJBM 4:273-282. PomeringA, Noble G, Johnson LW (2011)Conceptualising a contemporary marketing mix for sustainable tourism. J Sustainable Tourism 19:953-969. Smith RD (2004) Foreign direct investment and trade in health services: A review of the literature. SocSci Med 59:2313-2323. MoghavvemiS, Ormond M, Musa G, Isa CRM, Thirumoorthi, T, et al. (2017) Connecting with prospective medical tourists online: A cross-sectional analysis of private hospital websites promoting medical tourism in India, Malaysia and Thailand. Tourism Management 58:154-163. Manhas PS (2015) Marketing analysis of medical tourism in India. Enlightening tourism. A Pathmaking Journal 5:1-39. Cohen E (2010) Medical travel-A critical assessment. Tourism Recreation Research 35: 225-237. Magatef SG (2015) Theimpact of tourism marketing mix elements on the satisfaction of inbound tourists to Jordan. IJBSS 6:41-58. Rerkrujipimol J, Assenov I (2007) Medical tourism in Thailand and its marketing strategies. Data Tourism,pp. 1-8. Raj SKK (2015) Status, growth and impact of medical tourism in India. International Int J Pharm Sci Rev Res 34:284-291. MedhekarA (2014) Government policy initiatives for developing sustainable medical tourism industry. GSTF J Business Rev (GBR) 3: 3. LeMoine J (2013) Transparency drives medical tourism. Medical Travel Today. Cutler D, Dafny L (2011) Designing transparency systems for medical care prices. N Engl J Med 364:894-895. ChinaiR, Goswami R (2007) Medical visas mark growth of Indian medical tourism. Bull World Health Organ 85:164-165. Monika P, Tyagi N, Devrath R (2011)A study of problems and challenges faced by medical tourists visiting India. Indian Institute of Tourism and Travel Management. Statistics (2017) Middle eastern respiratory syndrome – Corona Virus (MERS-CoV). WHO, Geneva. Lajevardi M (2016) A comprehensive perspective on medical tourism context and create a conceptual framework. JHTR 5: 5. Dawn SK, Pal S (2011) Medical tourism in India: Issues, opportunities and designing strategies for growth and development. IntJMultidisci Res 1: 7-10. Turner L (2007) First world health care at third world prices: Globalization, bioethics and medical tourism. BioSocieties 2: 303-325. Johnston R, Crooks VA, Snyder J, Kingsbury P (2010) What is known about the effects of medical tourism in destination and departure countries? A scoping review. Int J Equity in Health 9: 24. Begum S (2013) Medical and wellness tourism: opportunities and challenges-marketing’ Brand India’. Res J ManagSci 2: 1-6. Chakravarthy KK, Deepthi K (2008) SWOT analysis on medical tourism. Indian J Res 3: 299-301. HalukKöksal M, Özgül E (2007) The relationship between marketing strategies and performance in an economic crisis. Marketing Intelligence and Planning 25: 326-342.